Honey’s natural properties and wholesome image satisfies the increasing demand for products with minimal artificial ingredients. Honey is a natural humectant, which means it has the ability to attract and retain moisture. It’s also an anti-irritant, making it suitable for sensitive-skin and baby products. And honey has no additives or preservatives – it is one of the few products that can be packed and sold straight from nature. It requires no processing or refining. The most popular health and beauty products on the market today containing honey are in the skin care category, particularly bath and shower products, face creams and skin lotions. Hair care is the category experiencing the most growth. Research is underway to develop a process that uses honey to create alpha hydroxyl acids (AHAs), ingredients that are included in skin creams and moisturizers because they help exfoliate the skin. Today, honey is used in an ever-increasing number of consumer products for both men and women. Look for a wide range of products that contain honey, from skin moisturizers and body scrubs to hair conditioners and bubble baths. 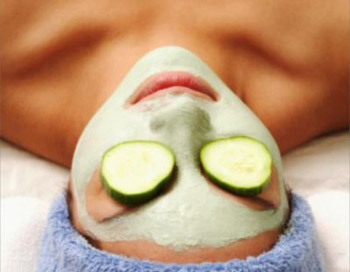 Or try one of these “beauty recipes” for yourself.